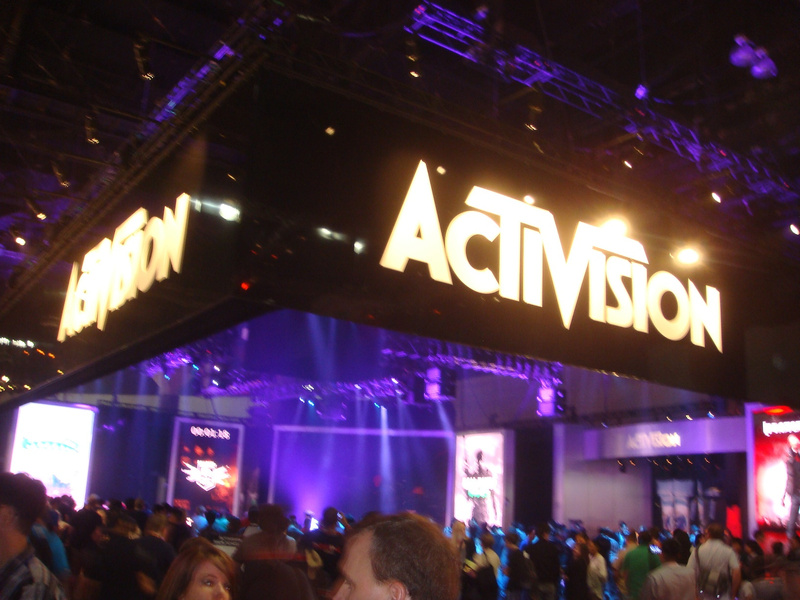 Activision is one of the most pivotal third party companies in the industry, with Skylanders and Call of Duty obviously being its most popular properties. While Call of Duty has a somewhat hit or miss history with Nintendo consoles, Skylanders still shows up year after year, with the most recent entry even receiving some special amiibo. Though this new Call of Duty is obviously going to be PlayStation centered, it'll be interesting to see whether or not an NX port will be possible. What do you think? Is E3 becoming a thing of the past? Will you be in attendance? Drop us a comment in the section below. "Infinity Ward's ambitious new game." The only thing IW has to do to be ambitious... is to make a SINGLE GAME that isn't Call of Duty. That's all it's been good for since it's creation. And that's not hyperbole. Every game to their credit is a Call of Duty title. EA isn't having a booth this year either, instead they are holding their own show down the road at the same time. There is no reason to have a booth at E3, when you are big enough to have your own show. I mean with today's technology, you don't need E3. People seem to forget how expensive E3 has become for companies these days. Don't really care for Activision that much, but I am a bit concerned about E3 going down, gaming wouldn't be the same without it in my opinion. No, CoD kids will be everywhere!! E3 has literally turned into multibillion dollar marketing spectacle. You either go over the top big, or be laughed out of the show Nintendo style. We got TokyoGameShow, GamesCon and other stuff for Activision anyway. Ubisoft will be there at E3, they typically have one of the biggest press conferences. I'm disappointed because I was really looking forward to...uh...the low quality of the new Skylanders? "Exciting new details about the next COD game".. VR probably. I've never really been a fan of Activision,going right back to the 80's.I think the last game from them I really enjoyed was Gun on the Gamecube,which was superb.Tony Hawks 2 and 3 I loved too but I'm struggling to think of anything else. Considering how long they've been around and how huge they now are,their library of published games is pretty poor.They have no shame in pumping out absolute dross either,like they done on the Wii and DS. All I want from that company is to pass over the rights for Spyro to someone capable of creating a good new game. That's two of the major publishers no longer having a booth at E3. I think this is telling that E3 is no longer the importance it once was. Look at how Sony and Microsoft revealed their latest consoles - it was several months before at their own events. I'm interested to see what, if anything, now fills these two big spaces that's being left. ANOTHER COD so early bo3 has just come out ffs and why is it centered around playstation? I'm so tired of cod it's just not exciting anymore,much rather play splatoon! E3 is so different now. The gaming media has become so less important as streaming has grown and fans/customers can get the news directly. Everyone says they love E3, but I'm pretty sure they mean the conferences. The actual event isn't very exciting for those of us at home, and we're at the point we don't really need to hear impressions from media that have been playing the games as we can see them being playe directly. @FragRed I wonder if Nintendo are planning to do the same. reveal the NX with their own pre-E3 event?It certainly didn't do Sony no harm.I'm not sure Nintendo are really in the position to do that though,they need all the attention they can get.If they do go the Sony route though,they can make the Digital Event all about games.With Zelda,a new 3D Mario,Retro's new game and a new console to play them on,it could be one of Nintendo's best shows yet. E3 is becoming a thing of the past. Nintendo perhaps set a trend there and didn't know it. Same rubbish like other people have said. I am looking forward to Yooka-Laylee and it had no association with E3. @OorWullie That's true, Nintendo does need all the attention it can get apart from if Activision and EA aren't technically at E3 - EA won't even have their conference there, it's st their own event - then that will reduce the amount of people who'll tune in to watch and potentially those who'll want to turn up. Those two publishers make up a huge amount of the big games. Also I'd say the hype the NX has been receiving across the Internet is enough to justify they'll get a LOT of attention no matter when it's revealed. Meh, they don't even make any good games. E3 is losing a lot of support recently. I'm guessing in a few years E3 will be no more because all the game companies will be doing their own thing in June. But lets face it, everyone only really cares about the conferences anyway. Especially Nintendo's this year, who can have directs, but NEED a conference this year at E3. You mean Activision won't be around to show us the latest COD game still built around the Quake 3 engine from 1999? What a shame! Oh god, this is gonna be one of those weird years for E3, with weird presentations, more merchandise and tech aspects than games and Wii Music (no! please never again). So please E3, be more than just good, be great, and Nintendo do something amazing, bring games, guns and NX! @FragRed That didn't work so well for Microsoft now did it. At least they seen the error of there ways and by E3 changes came but oddly enough it was too late and they pushed everyone to Sony's side. @RCMADIAX Have you seen the DI Next? I thought it was very Nintendo Direct like and even though it was only 15 minutes and I already knew about half of what they showed I thought it was a pretty good first showing. Almost felt like a dry run to get the format down with info that was already out there before they started really using them to show off new stuff. I was already looking forward to playing 4-player Marvel Battlegrounds with my 2 kids - we pre-ordered it awhile back - but they did a good job of building the hype. And making me want an amiibo game where I don't have to pay for both the amiibo and their DLC counterparts. You can probably guess my favorite part though. @Order2Chaos I couldn't agree more. It seems fairly likely there's going to be at least one franchise with a large known install base that will support VR and try to pull in buyers. @OorWullie Same here - I've always felt that way about western developers with few exceptions. Pre-Xbox (the '90s), the Japanese developers outshined their western counterparts in just about every way within the console space. Then, the Xbox came out and suddenly there was a flood of pc game developers suddenly releasing their games on consoles. It felt, in the 90s, there was a division in the west between pc developers and the activision and midway type developers. The pc developers were the innovators in the west and the console guys were trying to keep pace with the Japanese developers, but ended up releasing haphazard, fundamentally flawed clones of popular Japanese games. This is my take, at least. Although, I just realized, new Zelda! That should be good. Wait, how much is E3 attendance? It was because someone told them we didn't need a Call of Duty Skylander booth. That's what it came down to.